The Lower School had over ninety pieces of artwork on display from February 13–28. 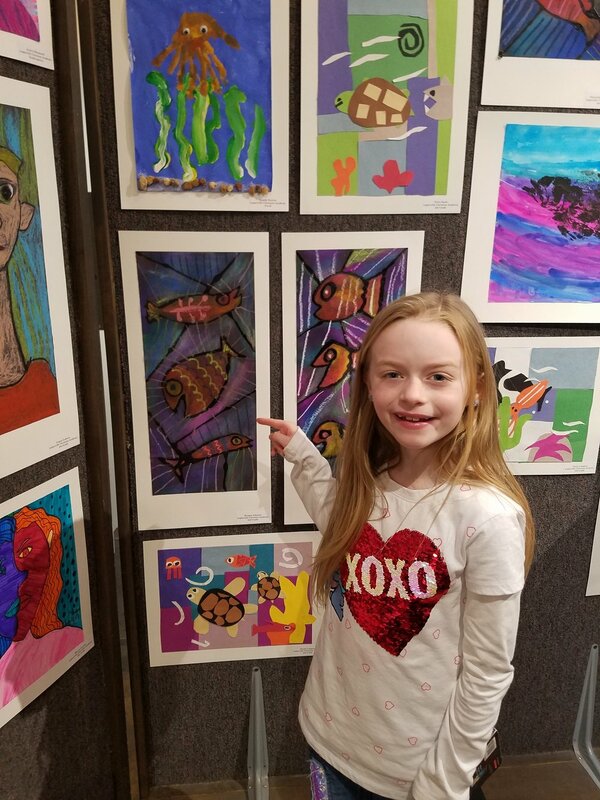 The elementary students of LCA were proud to showcase their study of fish and sea creature with Gyotaku prints and Matisse inspired collages. LCA’s artwork included clay fish from first grade, clay vessels from third grade, and a beautiful display of fifth grade weavings. Self-portraits inspired by artists, such as Picasso, Modigliani, and Howard Finster, were featured as well along with a colorful display of artwork celebrating the fall season. The middle school students have a wide variety of art on exhibit, including the 8th grade Cherokee double-wall baskets, clay pinch pots, coil pots, and 3D shoe studies. 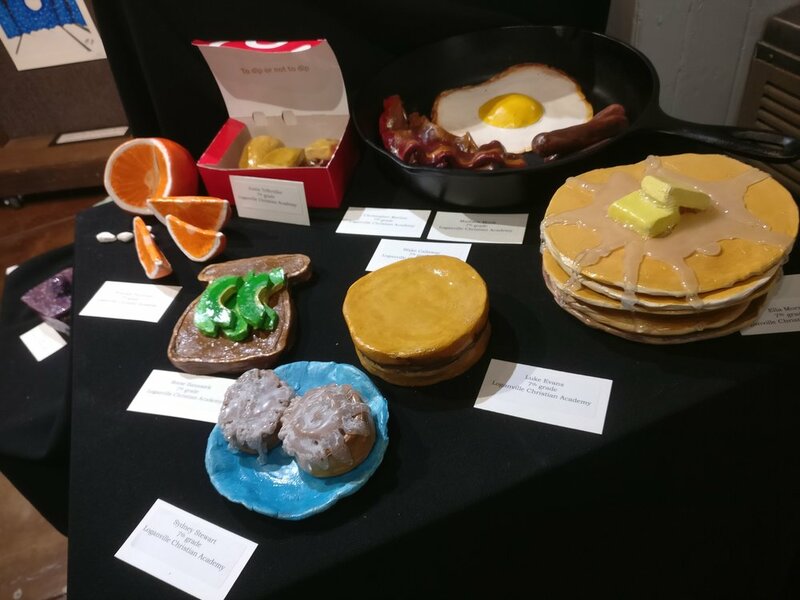 The 7th graders collaborated on a clay breakfast complete with eggs, bacon, sausage, pancakes, chicken minis, sweet rolls, avocado toast, and an orange. The 6th graders have impressive clay still life and flower reliefs on display along with drawings and paintings in pencil, charcoal, chalk pastel, and watercolor. Masks, fall and winter tree studies, and imaginary animals are among the subjects represented by our amazing MS students. The high school Art Show will include work from our 2D, 3D, and art survey classes and will include drawings, paintings, and sculptures in a variety of media and subjects. Mrs. Blackburn and Mrs. Touchton are proud of their art students and would like to encourage all of our LCA students and their families to view the wonderful works of art from not only our talented students but from all of the Walton County art students. The Middle School Art Show is currently on display and will close with a reception this Thursday, March 21 from 6:00–7:30 p.m. The Upper School Art Show will be held from March 26 to April 18 with a reception on Thursday, April 18, from 6:00–7:30 p.m.
Monroe Walton Center for the Arts is located at 205 South Broad Street, Monroe, GA 30655. The Center is open to the public Monday through Thursday from 11 a.m. to 4 p.m. and Friday and Saturday from 10 a.m. to 5 p.m. You may wish to call the gallery at 770-207-8937 to ensure viewing times before you go.